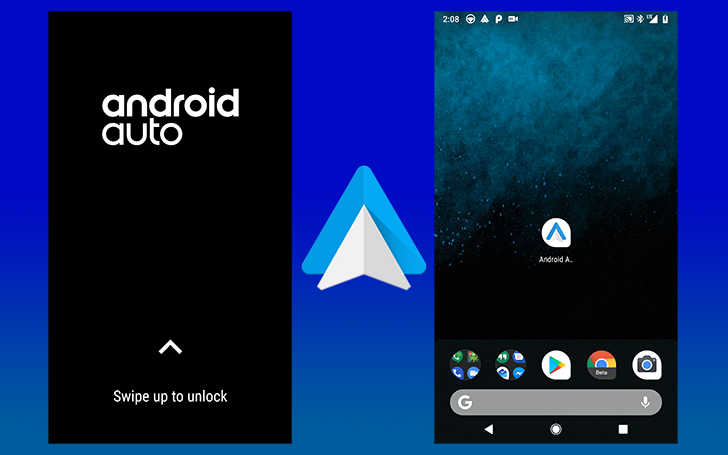 The common complaint about the lockout screen cites that passengers can safely use the connected phone to do things faster or more easily than they can be done through the Android Auto interface. For example, I routinely hand my phone over to friends so they can pick music, which is notoriously unpredictable with just voice commands. Prior to the new swipe gesture, bypassing the lockout feature required a widely-known trick of tapping the multitasking button to switch back to the home screen. The unlock gesture appears to only be available with Android Auto v3.0, released last month. Update: It may work with v2.9, as well. A quick (and safely performed) test confirmed that unlocking a phone was possible while a connected car is in motion. Google hasn't posted a reason for the about-face on the implementation of this safety feature, but we're reaching out for a response and will update this post with additional details. Hopefully this change wasn't made in error, but there's no certainty yet that it won't be reversed. Google has confirmed to us that 'Swipe up to unlock' was enabled intentionally. At this point in time, it looks like this will remain a permanent change. The intent of the change is to allow passengers to operate the connected phone without distracting the driver, ideally to assist with looking up information. It also makes it easier for drivers to use their phones while parked. And some advice for those going into the weekend with this newfound knowledge... Please drive responsibly and avoid distractions.